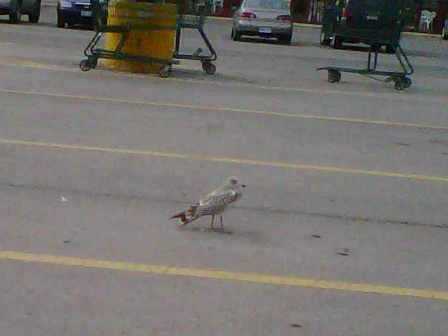 This guy was next to me at the grocery store - at first I thought it was a pigeon but it has spots. Anyway, he was between 2 yellow lines. 104. Sandy from the Heart of Texas"
114. Nelgin..". Pastel Color Motif"